The deck almost closed up. Over the years I have reduced the accent strips in favour of elegance. I like to keep the accent lines pointing along the hull and following the sheer curve. 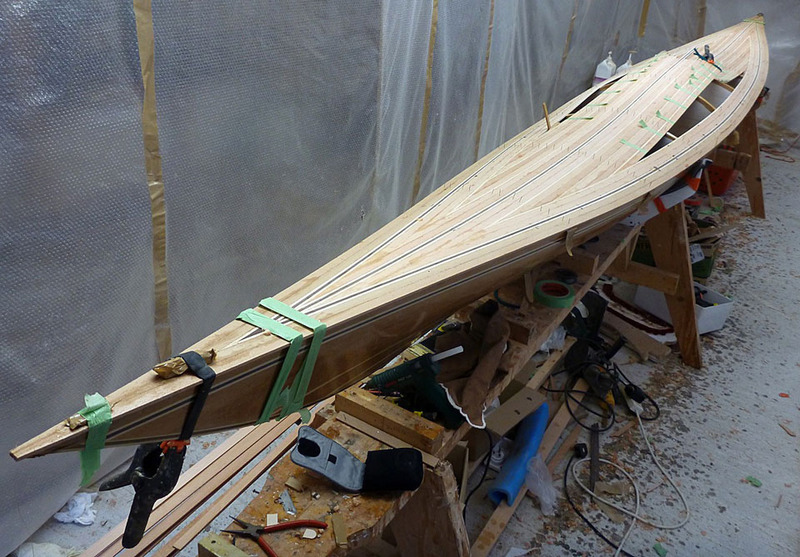 It looks faster, defines the shape of the boat, and is quicker and easier to do.